I had a conversation about faux painting with a client the other day. She wanted me to refer her to a painter who could paint some columns in her entry way so that they looked like they were made from marble. I mean really, what are the odds of a contemporary house having walls made from entire slabs of identical marble? The first test these kinds of techniques have to pass is a logical one. 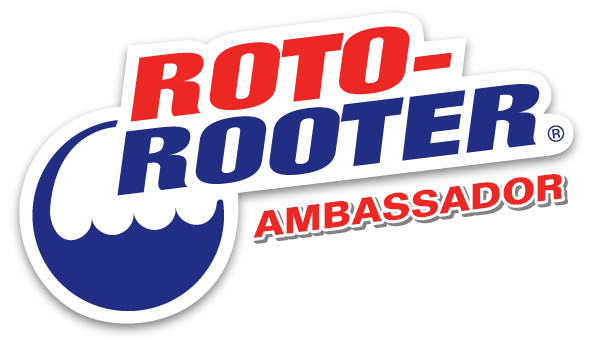 Ask yourself, does this application make sense? In the case above, the answer is a resounding no. Man! That burns my eyes. 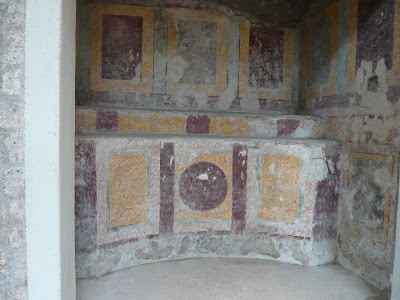 The idea of faux marble and trompe l'oeil painting got its start in Ancient Rome believe it or not. I had to see it first hand to believe it and here are some photos of what I saw. Some friends and I were treated to a walk through the excavation of the Villa San Marco in Castellmare di Stabia a couple of months ago. The Villa San Marco was a 28,000 square foot (that's not a typo!) Roman villa on the shores of the Bay of Naples. The Villa San Marco was the home of wealthy Roman family and it was buried by ash during the eruption of Mount Vesuvius in the year 79. The villa is an amazement and to walk through it today is to get a real feel for the people who lived in it. The Roman empire had a leisure class, probably the first such leisure class in human history. This leisure class had enough time and enough money to develop the idea of decorative art for their homes. It makes my heart beat faster to think about people two thousand years ago living lives that had an awful lot in common with mine. Now, I don't live in 28,000 square feet of house but I do like a nice paint job. Besides, so much of our cultural stuff --from birthday parties to wedding rings, from exchanging presents in late December to the Superbowl --we got from them. 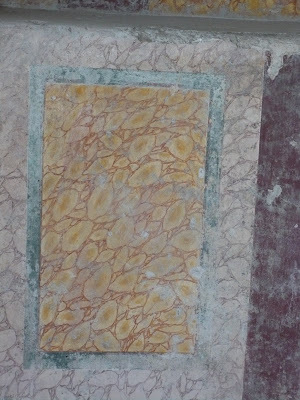 This is a detail of a trompe l'oeil fresco on a wall in a bedroom in the Villa San Marco. It wasn't until I saw this with my own eyes that I realized that the Romans had mastered perspective. Perspective disappeared from western art for nearly a thousand years after the fall of Rome. 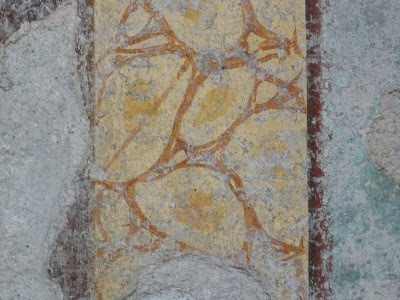 Here's a detail from a similar fresco. 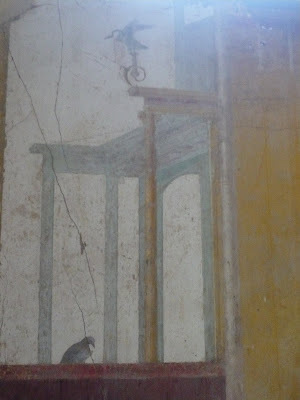 This is another fresco from the same room. 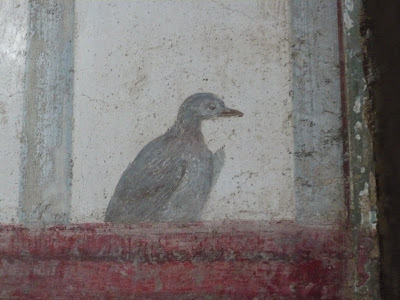 Now bear in mind that this fresco is around 2000 years old and survived the explosion of a nearby volcano. My mind reels when I think about how this must have looked when it was new. I thought my head was going to explode when I stood in front of this wall. My photo doesn't begin to do it justice. The room itself was small, probably twelve feet wide by ten feet deep. 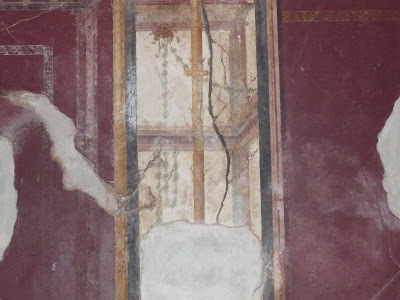 But even after all those years, this fresco made the walls disappear. If you ever find yourself anywhere near Naples in southern Italy, you owe it to yourself to track down a guide who will get you into the Villa San Marco. Just inside the main entry and in the peristyle courtyard of the Villa San Marco the the shrine to the household gods of the family who owned the villa. It's made from cast concrete and I was amazed that so much of its original paint job had survived the years. When I looked closer though I realized that the whole thing had been faux painted. The marble that this faux marble is imitating is all over Italy on ancient as well as in contemporary structures. Here's an even tighter close up. Un-be-liev-a-ble. 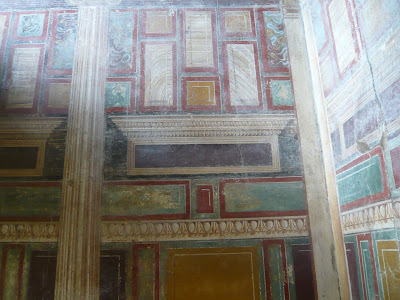 So seeing those Roman paint effects was really something. 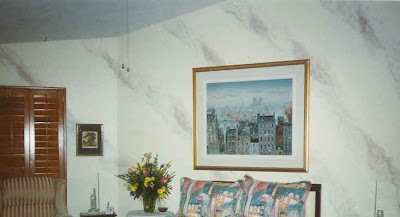 I learned that the faux marble I'd always mocked had a real history and I started warming up to the idea of it. 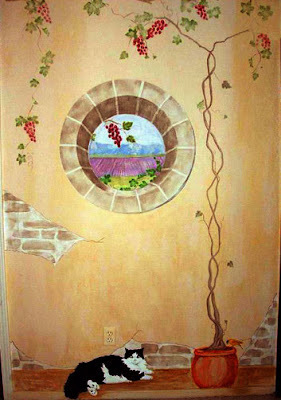 Ditto trompe l'oeil painting. So I decided to get over my biases and just accept it as another decorative art. So long as it's done well that is. Done well by a master like what I saw at the Villa San Marco. Well about a week later I was in Rome and I was walking down the Corso d'Italia at 7:30 on a rainy Sunday morning. As I now know, rainy Sunday mornings are about the only time when Rome's streets are quiet. I heard a church bell and decided to go to mass. I mean, when in Rome, right? So I ducked into the first church I came to, the San Carlo di Corso. 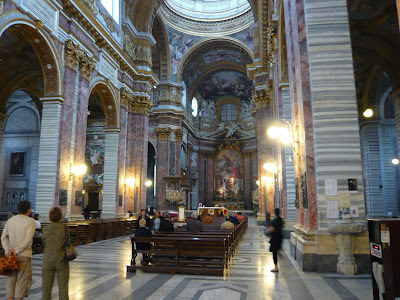 It's also one of the largest churches in Rome. It was built in the early 1600s and it is massive. The entire interior seemed to have been made from marble and granite with a whole lot of gilt for good measure. So about 20 Italian senior citizens, me and a handful of pilgrims from the world over sat through mass and despite the fact that it was in Italian, I surprised myself with how well I could participate in it. Even after all these years, a mass is a mass regardless of the language it's said in. So I followed along between major bouts of distraction by the incredible building I was sitting in that is. Then, after mass, I couldn't restrain myself any longer and I walked over to the side of the church to get a good look at the stone work. Wouldn't you know it, every inch of marble and granite on those 400-year-old walls was faux painted. I’ll be damned. Faux painted marble and granite in a church that old! And the Villa San Marco is a real mind-blower too. I feel that way sometimes, though, with the woodworking because some of the tools and methods are very old. The ancient Egyptians used dovetails. It's easy to believe that as modern people we spring fully formed from the abyss. That's a lie of course. We stand on shoulders that go the whole way back to day when a naked ape stood up and threw a rock. As mind boggling as Roman engineering was, it's standing on Greece's shoulders. Greece stood on Persia's. Persia stood on Babylon's and so it goes backwards into the misty dawn of humanity. And that's just the technology. The cultural stuff is what really gets me. Truly, nothing's original. I'm an architecture student, and spent 8 months in Rome. I seem to recall that the faux marble in San Carlo is the product of a recent (within the last decade) restoration, although it undoubtedly was a refreshing of earlier stuff. In all honesty, I would rank it among the crummier Italian examples (the black/white areas especially are repetitive with definite brushstrokes). 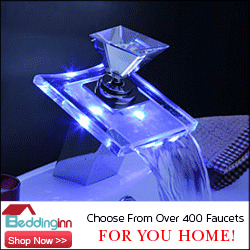 Obviously, it's leagues better than that hideous bedroom, but there are many better works. Even the pilasters in the nave of St. Peter's are all faux above the first 10 feet or so, but it's such a massive scale in subdued gray tones that you'd never notice if you weren't looking for it.